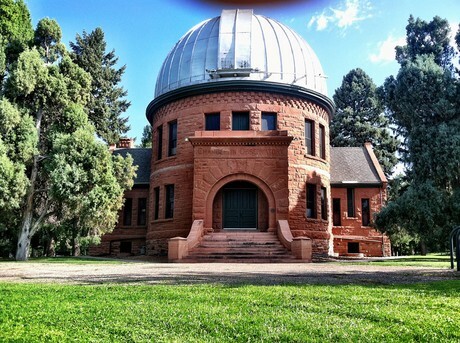 Just a few blocks from the University of Denver and home to its historic Chamberlin Observatory sits the prosperous and historic Observatory Park neighborhood. The Observatory which was named for Denver real estate entrepreneur Humphrey B. Chamberlin in 1890 is owned and operated by the University of Denver and is host to a variety of events held by the university and the Denver Astronomical Society.This established neighborhood boasts mature trees, lovely homes and a close-knit vibe. This classic college-town residential neighborhood is family friendly, and includes the lovely green Observatory Park. This pedestrian friendly park is used by walkers, picnickers and basketball players alike. 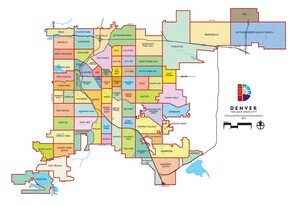 The Observatory Park community is conveniently located within a short drive of downtown Denver, and is within walking distance of the University of Denver. The University is home to the Chamberlin Observatory as well as the Newman Center and hosts concerts and theater events. Other entertainment such as museums and eateries can be found nearby as well. The Denver Museum of Art boasts an impressive architecture that is almost as grand as the art inside. Local favorites Pete's Cafe and Kaladi' Brothers Coffee House coax residents regularly through their doors. Observatory Park tugs at the heart. This classic, cozy Denver neighborhood presents all of the best attributes that come to mind when one thinks of community. Homes in the Observatory Park neighborhood range from the high $700's up to Mansions in the low 2 million dollar range, and feature a wide variety of architectural styles.